You might recall a few years ago when we talked about a beyond genius idea that the organization Singularity & Co. had where they started up a Kickstarter campaign to help save science fiction, in a sense, by bringing out-of-print books back into circulation, among other things. The success that campaign brought has inspired Singularity (not that one) to try it all over again. So if you missed out the first time, you have no excuses now. This is the kind of project that warms our black hearts here at Giant Freakin’ Robot, and this is so much more rewarding in a general sense than someone just trying to raise money for more ridiculous reasons. This time around, they’ve got the same goal of $15,000, with the campaign ending on February 27. And they already have over $5,200 raised, so I’m pretty confident more sci-fi books will head back to print (or e-print) in the months to come. The way they’re laying things out here is choosing one book per month (with the help of their supporters) that falls into the classic/obscure/amazing category, and is no longer in print. They’ll contact the author, if alive, or copyright holder, at which point they’ll clear the copyright and re-publish the novel as an e-book, which is a pretty cost-free maneuver. As well, they aim to bring each novel’s background “story” to light when each one is published. The money raised will also go towards covering the costs that come with running the website that they created after the previous campaign was successful. (With a little help from big-named donors like Neil Gaiman, Cory Doctorow and Margaret Atwood.) In 2012, they raised over $52,000 with the same $15,000 goal, and were not only able to save and publish a whopping 36 out-of-print books, but they also opened up a bookstore proper in Brooklyn. 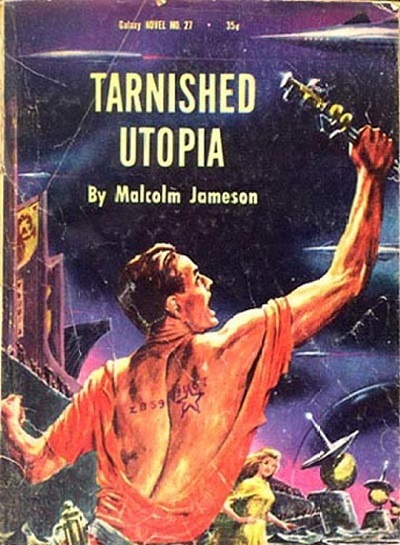 Along with Malcolm Jameson’s 1956 work Tarnished Utopia seen above, Singularity & Co. was also able to save books like Richard C. Meredith’s 1969 novel The Sky is Filled with Ships, Jeffery Lloyd Castle’s 1954 novel Satellite E One and Austin Hall’s 1932 work The Spot of Life, among others. If you want to donate to this Kickstarter campaign, just hit the link and find the prize you want. It’s worth noting that $150 will get you a lifetime subscription to every book that Singularity & Co. publishes, which definitely seems worth it. 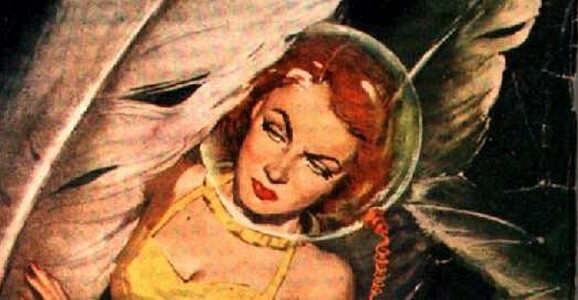 So do the world a favor and save at least one classic sci-fi novel before you go to sleep tonight. Union Square B&N in NYC has something similar where they will print and bind out of print books for you on the premises. Now mind you they are just starting this service and the catalog of OoP books is small but growing, but it is interesting in seeing the parallel ideas.